Merck wanted to provide its sales team with a breakthrough sales aid to support one of its top product initiatives. 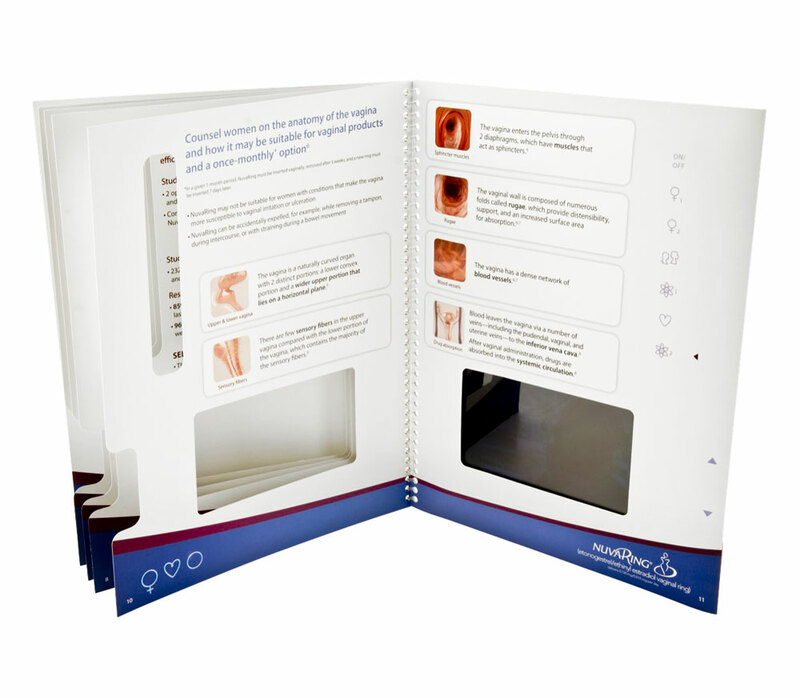 Americhip worked with Merck and its agency, Cline Davis & Mann,toincorporatetherevolutionaryVIP technologyintoa large brochure to create an informative and eye catching sales aid. 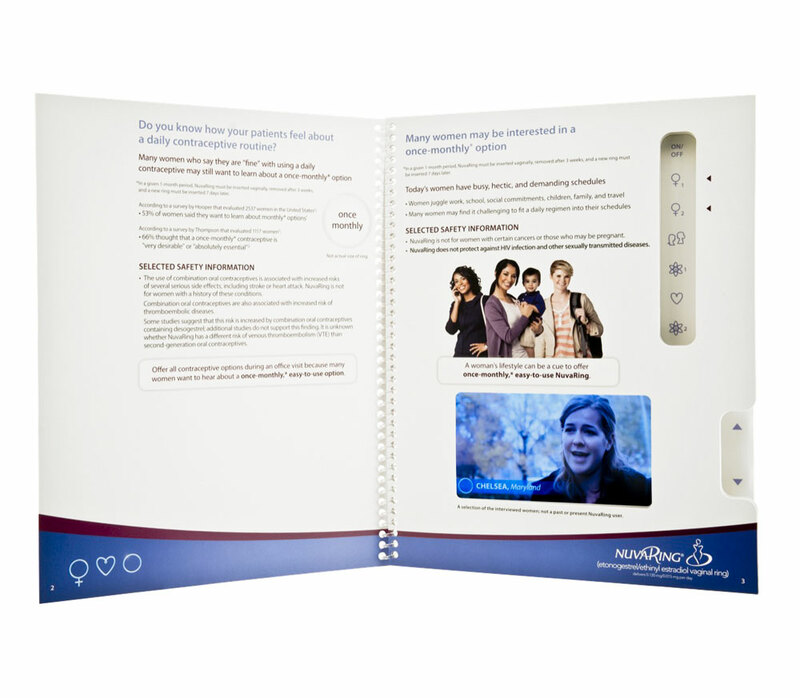 The video brochure plays four audio-video clips highlighting the medical data outlined on each spread. This helped the NuvaRing sales team walk doctors through key technical information. Meck took full advantage of the unique design features by planning ahead to reuse the technology for future campaigns. As truly revolutionary technology, video brochures serve both as vehicles for print and digital distribution and can be repurposed for multiple campaigns. Americhip mounted the VIP technology to a removable base and then assembled it to a printed carrier. At the conclusion of the campaign, Merck’s Rep Team returned the units to Americhip and the audio- video content was reprogrammed. In this way, our clients can maximize the value of the VIP technology over multiple campaigns. When the video brochure was unveiled to the Sales Team, the Vice President of Sales called it “the best sales piece I’ve seen in the field in the last 20 years”. The Merck sales team continues to rave about this unique new sales tool. In fact, the video brochure has been such a success that they have re-run the VIP program six times.